Welcome back to episode 2 of Soul CEO! I’m probably going to say this a lot because I really am so happy to be doing this show and giving you everything I’ve got – I am SO excited to be here with you! So let’s get to it. Today, I want to share a concept that has had such a profound impact on me that it’s now one of the first things I teach at the beginning of any coaching relationship, mastermind, free training or retreat that I do. I call it “Get What You Came For” and it’s essentially about how it is our responsibility to get what we came for – whatever we are looking for, whatever transformation or growth we are desiring. This concept is incredibly empowering and pertains to every area of our lives! It puts ownership and power over our results squarely on us, which has a tremendous impact on how we handle every circumstance beyond our control. It really is that powerful, ladies! So pop in your earbuds and get ready for a hugely transformational episode surrounding a topic that I know will resonate with you as much as it did with me! Why “Get What You Came For” is such a powerful concept to learn at the beginning of any transformational journey. The power of taking ownership over your experiences. How your expectations change when you apply this concept to any situation. How applying “Get What You Came For” to every aspect of your life will help you to stop avoiding growth opportunities. Hello, how are you guys? Episode number two – I am so excited. I know I talked about this on episode one, but you guys are the OG Soul CEO listeners and I think that is so freaking cool. If you don’t know what that means, that is original Soul CEO listeners. And I think it’s so fun because I remember listening to some of the podcasts that I love really early on and to see their growth and their transformation and my growth and my transformation as a listener. I think it’s just a cool way to put a line in the sand and see the transformation that you make and remember these moments in time. Like, I’ll never forget, as I’m talking, I’m literally sitting in my closet because it’s the quietest space in my house and I want to give you guys awesome sound quality on these podcasts. I’m staring at my dresses right now. I don’t think I’ll ever forget this moment of recording episode number two in my closet. And the cool part is, I can always go back and listen. It makes me really excited to think about what life will look like at the 100th episode for me and what life will look like at the 100th episode for you guys. Because again, I think about how much my life has changed over the course of listening to some of my favorite podcasts over time and it makes me really excited to think about how your life is going to change. And so I’m just so grateful that you’re here from the start, from day one, and I can’t wait to see where this journey takes both of us together. I’m just so excited. So I am really pumped to talk about today’s topic, and it is a concept that I typically teach or talk about at the beginning of any coaching relationship, any mastermind, any free training that I do, any retreat; whatever it is. And I feel like I heard about it on a retreat or somewhere I was at where a coach kind of prepped us for the growth and the transformation. And it’s something that really stuck with me and it’s something that I really like took on and owned and have looked at from many different perspectives and really feel deeply and apply deeply to my life and teach it to the people that I work with. And this is the concept – I call it Get What You Came For. And It originally came from this idea of being at this retreat I was at and showing up and getting what we, as clients, came for. So whatever we were looking for, whatever transformation or growth we were desiring, it was our responsibility to get what we came for. And I thought that was so powerful and I think it’s so important because, one – it gives us so much power. It gives us power to decide what are we going to show up and get out of whatever it is, in this retreat or whatever it is, in this podcast or training or anything. And so when I heard that, I actually remember coming home and I wrote a blog about it and it’s really something, like I said, I’ve translated into like everything that I teach and talk about at the start because I just think it’s so important. And this is exactly why I wanted this specifically to be episode number two, because it applies in this as well. It applies in this podcast, to you as a listener, right now. So here’s what it really comes down to. We, as human beings, have the power to show up and get what we came for. So what I mean by that is not only in coaching – that’s a huge part of coaching. I think for me, as a client – I have a coach and I will always have a coach. And the reason why my life has grown and transformed so quickly – my life and business – is because I always show up and I get what I need. I ask for what I need. I ask for the support I need. I come to my coaching calls prepared with everything I want to work on and everything I want to talk about and I show up to the trainings that I do at an extremely high level because I always have the intention of getting what I came for. And that always gives me the power to get the transformation that I’m looking for. And that is a part of my job as a coach and my job as a student, to give myself the power in every single situation and to give my clients the power in every single situation and circumstance that they come across. Because that’s the thing, we can’t always control circumstances. That’s not what this work is about; controlling everything. It’s like, right. Things are going to happen, circumstances are going to happen, life is going to change. It’s a constant changing thing. Our lives will always have curveballs thrown in them. So the thing is, it’s not about having power or having control over those things, but what it all comes down to is having power and taking ownership over you. Because when you take ownership over you and your mindset and your growth and how you show up to every single circumstance and every single thing that you do, you have the power to decide what happens. You have the power to decide how you handle it and whether you’re going to use whatever curveball is thrown your way as a transformation opportunity, as an opportunity to grow or as something that is outside of your control and keeps you stuck where you are or pushes you back further. So that’s what this concept is really about – Get What You Came For – this is about giving you the power to get what you came for. And I apply this to everything. I apply this not only in my personal growth and my journey, I apply this when it comes to my life. Because think about it, if I show up to my life and I – quote en quote – get what I came for, no matter what, I’m going to be showing up to create the life I really desire. I’m going to be showing up to every relationship to get what I came for; to get the fulfillment, the closeness, the vulnerability, the fun, excitement, thee love that I came for that I desire. When I go to an event, if I get what I came for, then I show up being the person that has control to decide that I’m going to get a transformation; that I’m going to get something out of it. Or when I show up to my family Christmas, I’m going to get what I came for. So I’m going to get the love, the conversation, the relaxation that I came for; that I showed up for. So again, when I say this, this isn’t just about this journey – and hell, it’s totally about this journey too, right. On this podcast right now, every single week, when you listen to these episodes, you are going to decide that you are going to get what you came for. You are going to show up and you are going to do the work and you are going to get what you came for in your life. So when I say that, I want you to think about your current life. Are you getting what you came for? Every day, are you getting what you came for from your job? Are you getting what you came for from your relationships? Are you getting what you came for from this podcast right now? And typically, the transformation that we think we’re supposed to get isn’t actually the transformation that we’re going to get or isn’t actually the transformation that we need because sometimes, that transformation is in our blind spot. Sometimes, that transformation is something that’s uncomfortable and we’re really trying to avoid. I find that happens to me. I think I’m going to learn something conceptually and then I’m pushed to be vulnerable and build relationships and all these things that maybe I wasn’t anticipating from an event or form a mastermind or whatever it is. Same thing with relationships, right, sometimes we think that a relationship is going to go a certain way and we expect it to be a certain way, but maybe that person shows up differently than you anticipate. Or maybe they are stressed and the circumstance is different than what you expected. Are you going to blame them? Are you going to blame the circumstance on the fact that you didn’t get the love or the joy or whatever it is that you came for, or could you show up in the mindset of, “I’m going to get what I came for any maybe this is an opportunity for me to show up in a different way and have fun,” or enjoy this experience or connect on a deeper level? So I know this seems so simple, and in fact, a lot of the things I’m going to teach here might be simple, but your growth and your transformation is going to come from the application of it. And it’s going to be fun when you show up to something and you’re like, “Yeah, I’m getting what I came for. I’m listening to this podcast and I’m getting the things that I desire. I’m doing the work.” But where your real transformation is going to take place is when a circumstance that you don’t expect or you don’t want or you’re not happy about or is completely different than what you desire; that’s going to be your real opportunity for growth. So this is what I want to leave you with. In your life, are you getting what you came for? Are you getting what you were put on this planet for? Are you getting the dream life that you really desire? Because I can tell you, you have the power. The power is yours. You cannot control your circumstances but you can always control the way you show up to them. And I can promise you, if you always show up to every single circumstance in your life, to every single thing you invest money in, you go to, you show up to, every relationship – if you get what you came for, if you are open to the lesson that it’s meant to teach you, especially the unexpected ones, your life will change and you will get, every single time, what you came for. And when I say that, again, it doesn’t mean what you necessarily expected. That’s not what I mean when I say get what you came for. I mean, show up and be open that maybe you came for something different. Maybe the stars aligned for you to grow into the person that you are asking the universe, god or whatever it is, that you want to become. So get what you came for from this podcast. Get what you came for from your relationship. Get what you came for from your job or your business or whatever it is because you have the power to decide. It’s your life; are you getting what you came for? Thank you guys so much. I’m so excited you’re here and I want you to reach out, share this episode or ask me a question; whatever it is because that is also an opportunity for you to have the power and get what you came for from this podcast and from me. Thank you for tuning into today’s episode of Soul CEO. The amazing thing about this soul work and this inner work is that it creates a space for a lot of creativity. And that’s something that I will definitely be tapping into throughout this entire process and something that I utilize a ton in my business because my ideas have created my business. And I was super inspired when I was at the Bliss Project in California by a master life coach who was there. Her name is Christine Hassler, and she coached some of the women live on stage in front of 500 people and the transformations were amazing. And the value that it added for, not only the person on stage, but the audience, was huge. And that inspired me to add a bonus podcast – or bonus episode – to my Soul CEO podcast. So what I’m going to do is, once a month, I’m going to put out a bonus which is me coaching someone on the air, live, through their particular situation or a specific problem or area that they want to grow into. Now, I’ll tell you guys how you can qualify to do that, but first, I just want to share with you the major impact that it could make in a number of ways. One – it takes a lot of balls to be willing to be coached live on something in front of people that you know are going to hear it. So there is a huge opportunity for transformation there, because for me, when I raised my hand, even though I didn’t get called up onstage to be coached live, that in itself was a huge step for me; to be willing to be coached on my own stuff in front of 500 people. And I will tell you that through this process, I think you guys are going to see what a huge impact it can make. And don’t worry, it will be recorded so certain things can get cut out. But I think the more raw and real and vulnerable coaching that we go through, it’s going to be amazing and super-significant and super-impactful for not only you but also the audience. Because I will tell you, the most powerful thing about hearing other people be coached or seeing other women get transformations – this happens all the time in my masterminds – is recognizing that our problems or our challenges or the belief systems that are holding us back are universal. We all feel the same way. We all get stuck in the same places. And so to feel seen and to feel supported and feel like you’re not the only one can be such a powerful thing. So think about if you get coached live that there are probably hundreds of thousands of people – I hope hundreds of thousands of people – who are listening to the podcast who are going to relate to your story. And I’m going to go all in. I’m going to give you everything I got. So basically, you’re going to get however long we’re on the episode for of my time for free of coaching. So that is the value of this and it’s going to be amazing. And I think there’s going to be tears shed, there’s going to be major transformations made and I’m super excited about it. So if you’re like, “Oh my gosh, I need to do that. I want to do that.” I’m going to tell you how you can get entered into being on one of these bonus episodes and being coached live by me. So what I’m going to have you do is rate and review this podcast. So tell me what you think. Give me feedback. Tell me what your favorite thing is. Tell me what you want to hear more of and tell me what you think about it because this is for you guys. 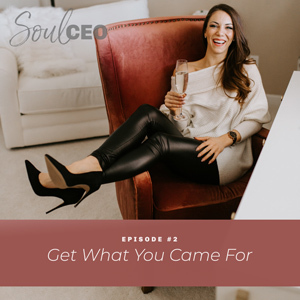 The point of this podcast is to add value to your lives and to help you show up as the soulful boss-babe or soulful woman in your life. So I want to hear from you guys. So here’s how you do it. If you would like a chance to be entered in to win one of these bonus calls or bonus episodes with me where you’ll be coached live, I need you to go to lindseymangocoaching.com/itunes and all of the instructions will be there on what you do after you rate and review this podcast in order for you to be entered. Because your ratings and reviews won’t just pop up with your name, so we need to give you some instructions on how to do that. So I’m super excited. I cannot wait to start putting those bonus episodes out. They’re going to be mind-blowing and I am so grateful for those of you who leave a review and who are open to being coached. Now, if you guys want to leave a review, I would be so grateful. And it’s totally fine if you don’t want to enter in to do one of the bonus calls. I will still send you so much love and would appreciate it so, so much. So thank you, and I hope you guys have an amazing day and I can’t wait to talk to you on episode number three. Talk to you soon; bye.